Elijah and his chariot of fire – as he is most commonly associated with – was born at Tishbe and is of the tribe of Aaron. There were not many records of his childhood, but one particular event happened that changed his entire life. Elijah grew up to be God-fearing and had incredible faith in Him. He bravely stood up for God against Baal, a Syrian god, during the time when the Israelites were worshipping false idols. To please his wife Jezebel, King Ahab built altars to Baal. Elijah told King Ahab that a great drought would come upon the land, and it happed as Elijah had predicted for the next few years. God instructed Elijah to take refuge at the brook of Cherith, east of the Jordan River. God sent ravens to bring food for Elijah. But when the brook dried up, God told Elijah to go to a city, Zarephath, where he would meet a widow who will give him food. When Elijah met the widow, she had only a small amount of flour which she intended to be the last meal for herself and her son. Elijah directed the widow to do as she intended, but first make him a small loaf of bread and then make one for herself and her son. The widow obeyed and God blessed her, as the oil and flour did not run out during the time Elijah was there. But surprisingly the woman’s son died. Elijah prayed to God to bring the boy back to life. God heard Elijah’s prayers and miraculously brought the boy back to life. During that time of the drought, King Ahab’s queen Jezebel was killing God’s prophets. In the third year of the drought, Elijah was told to present himself to King Ahab and God would send rain on the land. God brought forth another great miracle when Elijah dared the prophets of false gods. He would show the people that idols don’t have power. They went to Mt. Carmel. The prophets of the false god sacrificed a bull and cried their hearts out from morning to night, but their god did not answer. So when it was Elijah’s turn, he put a bull alongside of soaked wood with drenched thoroughly with four jars of water three times. Elijah prayed and called on the Lord, and a great fire fell from heaven, burning the offering, wood, and stones. Even the water dried up. The people saw the power of the one, true God Almighty and turned back to Him. Elijah then prayed, and rain fell on Israel. The false prophets were taken to the Kishon Valley and killed there. 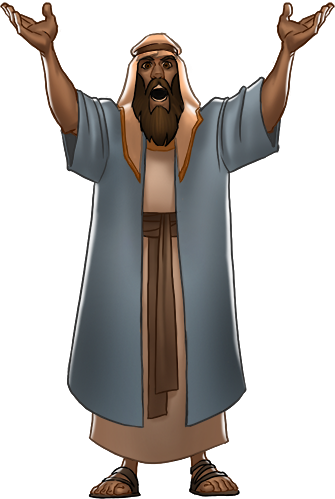 Baal’s priests challenged God Almighty and as a result courted His wrath; God worked his miracles through his prophet Elijah. It’s amazing to find out many more things he did as he is not only known as Elijah and his chariot of fire. This made queen Jezebel furious and she promised to kill Elijah. Afraid for his life, Elijah He fled until he came to Beersheba and left his servant there. Then, he journeyed for a day into the desert. He was sleeping when an angel of God appeared and gave him food and water. Strengthened, Elijah traveled for 40 days and 40 nights to Mt. Horeb. God ordered him to anoint his new chosen prophet, Elisha, his successor. Elisha and Elijah were walking when chariots and horses separated them and Elijah was taken up to heaven in a whirlwind. Here we finally read about Elijah and his chariot of fire which God had sent to fetch his faithful servant and it is astounding! If God were to do it today, people would no doubt turn to God for forgiveness and become faithful. Elijah carried with him unbending faith and loyalty to God despite man’s wrong faith during that time. God used him as an instrument for miracles and change. Elijah was at times brave and influential, while at other times he was afraid and hesitant. However, God was patient with him. If we follow Elijah’s example, and just listen to God’s call in our lives and walk in obedience with Him, we will find victory and reward.